The GreenArrow Engine IEM (Interspire Email Marketer) patch provides new capabilities that aren’t present in a standard IEM installation. With these new capabilities come some parameters which should be configured appropriately for your installation. If no VirtualMTA is specified, or if the VirtualMTA that is specified doesn’t exist, then the message will be sent through the default VirtualMTA of the server. If any IEM users have non-default SMTP Server settings within their profile, those may need to be updated as well. 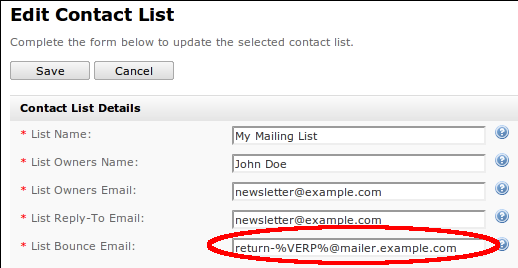 By default, new IEM users inherit the SMTP settings that were configured above.